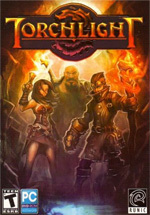 CopyrightInfo (v1.1) Torchlight (C) 2009 Runic Games Inc. (v1.1) Torchlight (C) 2009 Runic Games Inc.
Powered by PukiWiki. Thanks PukiWiki Developers Team. HTML convert time: 0.195 sec.